New Jersey laws intended to prevent and punish drivers for driving under the influence in the state are applicable to any driver driving in New Jersey. They don’t just apply to drivers who live in the state and have a license issued by New Jersey. If a driver who lives out of state and has an out of state driver’s license happens to commit a DWI in New Jersey, the laws and penalties are the same as for an in state driver. There are subtle differences and they must be understood in the event a driver from out of state is arrested and convicted of DWI. Drivers with a New Jersey driver’s license who are charged and convicted of DWI will face a litany of penalties that are contingent on the amount of alcohol in the system and the circumstances of the arrest. When a law enforcement officer witnesses a driver driving erratically, breaking traffic laws or making dangerous maneuvers, it is enough for the officer to make a traffic stop to investigate. During the interaction with the driver, the officer will look for certain clear signals that he or she has been drinking or is under the influence of drugs. Of course, an open container of alcohol or polls will be obvious signs. But if the driver has bloodshot eyes, is slurring when speaking and smells of alcohol, these are indicators of DUI. Next, the officer will administer field sobriety tests like the Horizontal Gaze Nystagmus test, the Walk-and-Turn test and the One-Leg Stand test. Then there will be a breathalyzer test. If the driver is age 21 or over and registers 0.08% blood alcohol content, there will be a DWI arrest. For drivers under the age of 21, the BAC for an arrest is 0.01%. If it is a commercial driver – a frequent out of state DWI arrest target – the level is 0.04%. The officer is required to follow the New Jersey protocol when investigating a DWI. That includes observing the driver for 20 consecutive minutes prior to administering the breath test to ensure that nothing is done to compromise the test. This can include smoking a cigarette, chewing gum or regurgitating. The officer must also be certified to give the test and the machine must be properly calibrated. If a driver is convicted of first offense DWI with a BAC of 0.08% and less than 0.10%, the penalties will include a fine, surcharges, other financial penalties, jail time and a driver’s license suspension. The fine will be for between $250 and $400. The driver will have to pay $230 to the Intoxicated Driver Resource Center (IDRC). $100 each will be paid to the drunk driving fund and the Alcohol Education and Rehabilitation Fund (AERF). $75 will go to the Neighborhood Services Fund. The jail sentence can be for up to 30 days. The driver’s license suspension will be for three months. With higher levels of BAC and second and third offenses, the penalties will be worse. If you have children in the car you can also face endangerment charges. Drivers who are convicted of DWI in New Jersey but have an out of state driver’s license face different issues than a New Jersey driver. New Jersey is not able to suspend an out of state driver’s license when there has been a conviction for DWI. However, there is something known as the Interstate Driver’s License Compact (IDLC). This is an agreement the 45 states will share information about driving offenses. The five states that are not part of the IDLC are Georgia, Michigan, Massachusetts, Wisconsin and Tennessee. 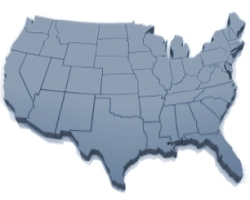 Every state in the IDLC will inform the home state if there is a DWI conviction. When there is a conviction for DWI in New Jersey, New Jersey will notify the other 49 states about it. The driver’s license will be suspended from driving in New Jersey for the amount of time mandated based on the level of charges. It is up to the state from which the driver’s license was issued as to whether they too will suspend it as well. If the home state has an administrative DMV process to suspend the license if an infraction was committed out of state, then there will be a suspension in that state as well as in New Jersey. Regardless, the driver will not be allowed to drive legally in New Jersey for the duration of the suspension.